There's just something about a fresh flower arrangement that makes my heart sing. Beautiful, live flowers make any room brighter and more inviting. But the price tag on fresh flowers can be a real problem. With so many options these days, it's never been easier to create simple, DIY flower arrangements, without breaking the budget. 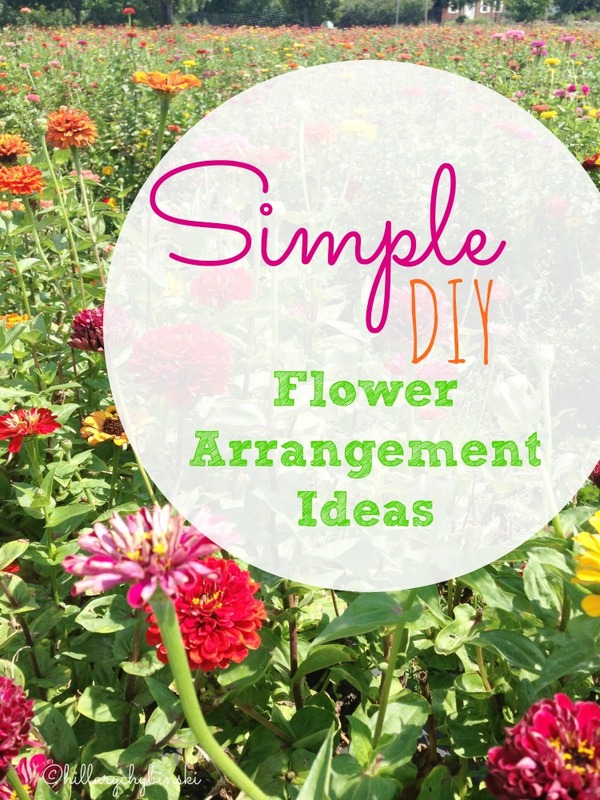 The cheapest and easiest way to make simple DIY flower arrangements, is to look in your own back yard. Do you have some flowers out there, or even some herbs? Both can be cut to make great arrangements. I am no gardener, by any means and much of what we have, came with our house. 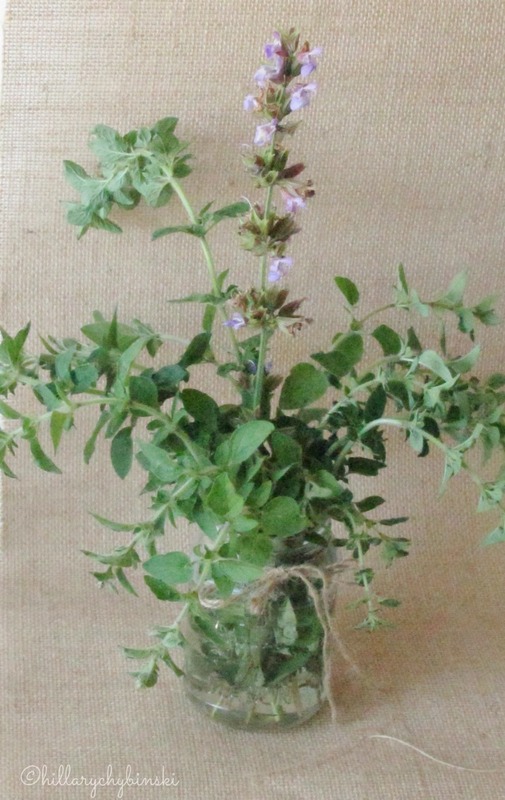 Right now, in my herb garden, the sage is flowering, so I cut a stem and stuck it in a mason jar with some oregano that's taking over one area of my messy flower bed. Another great source of flowers on the cheap is a local farmer's market or farm. We have one close to us that allows you to pick your own Zinnias. They are 10 stems for $1! At that price I can fill a basket and come home with enough flowers to put all over my house and patio. I trim them short and stick them in mason jars for a rustic charm look. Afraid of grocery store flowers? Don't be. Even those cheap mixed bouquets can be broken apart and trimmed to look like a much more expensive arrangement or two. Trader Joe's is my favorite. In the spring, I can get 10 Tulip stems for $4.99. I cut the ends so that they fit in my grandmother's ironstone pitchers and I get a great farmhouse feel with graceful spring tulips. 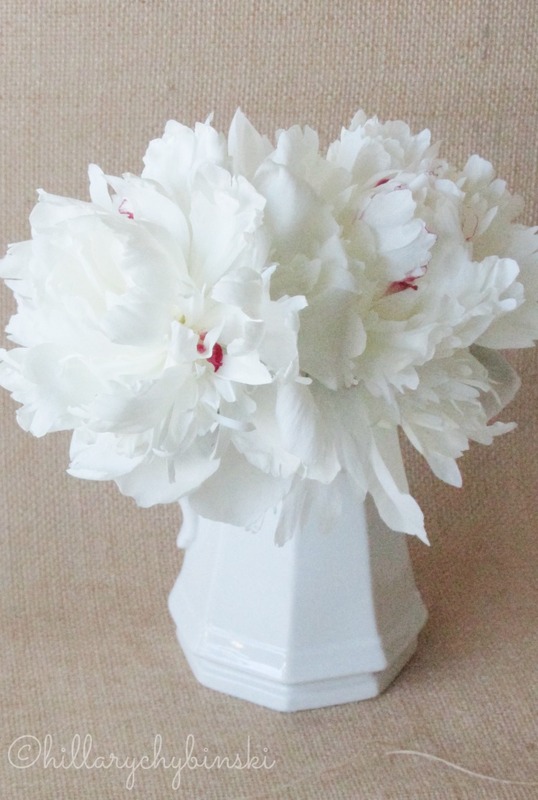 Wondering what to put your own flower arrangements in? A simple glass vase, or vintage crystal always work. But feel free to skip the glass vases in favor of a mason jar or old pitcher for a more vintage or farmhouse feel. Keep your eye out at yard sales and thrift stores for interesting pieces you can use to display your arrangements. Not sure if it's water tight? Place a smaller glass or vase inside your intended vessel and fill that with water for the flowers. These days there is nothing to stop you from creating beautiful, yet simple, DIY flower arrangements for your own home. With a wide variety of price points, and flowers available from almost every store, you can make an arrangement that fits your style AND your budget! 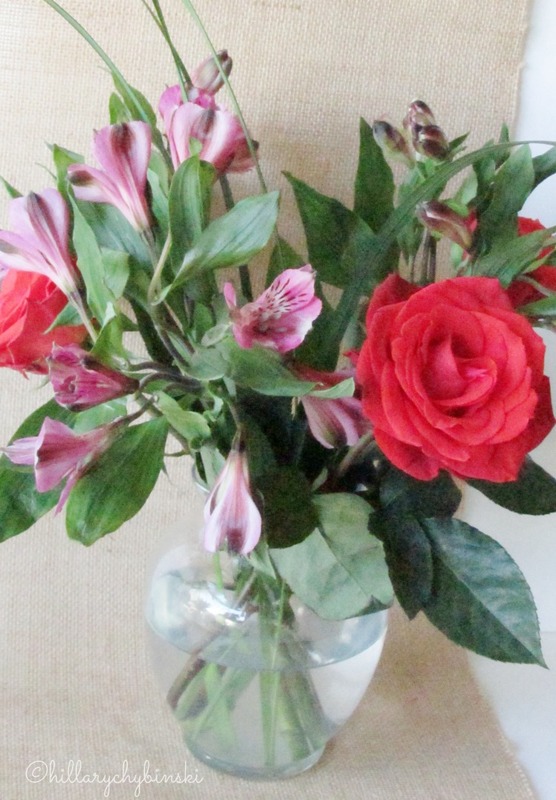 What's your favorite tips for creating simple DIY flower arrangements? I love the simplicity of this idea. It may be the perfect project for this stuck-inside-rainy-Sunday we're about to have.